Giordano has received numerous accolades over the years, including service excellence awards from the various Shopping Malls across the region. The brand was also the first apparel retailer to receive the Dubai Quality Appreciation Programme award. In 2004, Giordano became one of the first retailers to be nominated for the Dubai Service Excellence Scheme, for all its stores across Dubai. 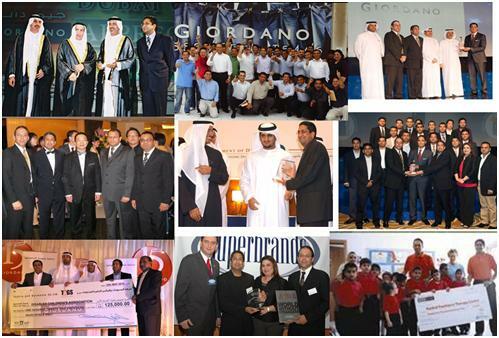 In 2009 Giordano received the award for “The Best Service Performance Brand 2008-2009” under the Dubai Service Excellence Scheme.